Thieves oil is the revolutionary blend of powerful essential oils that defend and protect. 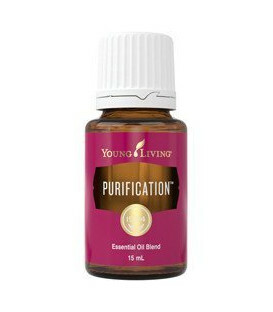 Diffuse throughout the home to kill dangerous airborne bacteria or apply on the bottom of feet for an internal boost. The story goes there were four thieves who robbed the dead of their valuables during the Plague of the 15th century without becoming infected themselves. As is the case, the authorities found this act naughty and the four thieves were captured and charged with robbing the dead and dying. At the trial, in Marseilles, France, the magistrate offered them leniency if they would reveal how, in spite of their close contact with infected corpses, they managed to avoid contracting the dreaded bubonic plague. It was disclosed that these thieves were simple perfume and spice traders who had rubbed themselves with a concoction of essential oils including cinnamon, clove and rosemary. 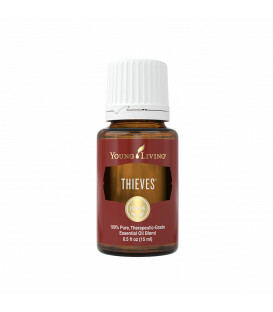 The formula for the Young Living Essential Oil blend, Thieves, is derived from the aromatic herbs used by these thieves of 15th century France. 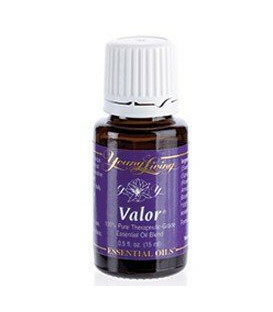 This proprietary blend was university tested and found to be highly effective fortifying defenses. Aromatic use. Refer to How to Use brochure and product label. Diffuse for short periods of time (1/2 hour or less) in the work or home environment. Possible skin sensitivity. If pregnant or under a doctor's care, consult your physician. Always dilute. Keep out of reach of children. CLOVE (SYZYGIUM AROMATICUM) Clove oil is sourced from the tropical evergreen tree Syzygium aromaticum (sometimes Eugenia caryophyllata) of the family Myrtaceae. It's believed indigenous to the Moluccas, or Spice Islands, of Indonesia and has a strong aroma and is hot and pungent in taste. The key honcho ingredient in Young Living’s Thieves® blend, its principal constituent is eugenol, an element that is used in the dental industry for toothache and to numb gums. Clove essential oil contains the most antioxidants of any measured essential oil and is nature's richest source of eugenol. Clove oil is the primary ingredient in Thieves essential oil blend and offers a range of benefits including antimicrobial action,anti-inflammatory properties, and antioxidant activity, all helping to support the immune system. EUCALYPTUS (RADIATA) Eucalyptus radiata is an aromatic oil used in medical applications as its active ingredient is used in expectorants and inhalants. Lighter in smell than Eucalyptus globulus, it nevertheless has many of the same properties. 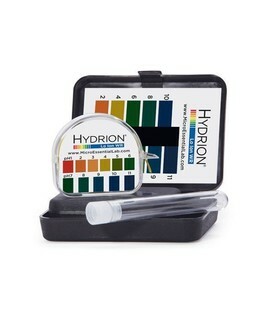 Because it is relatively gentle and non-irritating, it is the preferred choice for children. 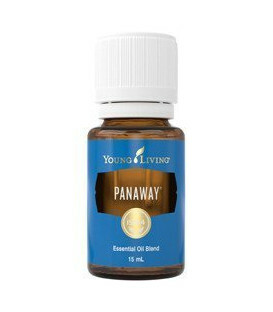 This variety is one of the most versatile of the eucalyptus oils and is suitable for topical use, diffusing and even direct inhalation. I woke up with a sore throat a couple of days ago and I did the one drop on the tongue because I'm a little bit susceptible to colds and the Thieves worked a treat. It knocked it down virtually in one day so I did it again a couple of times and no cold. Would recommend it to everyone and I do. Great article and very good advice. Much appreciated! I just want to thank you for the cough and sore throat recipe using warm water, honey, lemon and Thieves oil. And YES, we say - boy o boy !! Thankyou so much for this amazing information. We've used the Thieves for 2 times already, and I must say that my boy had a sore throat, and straight away after I finished reading your article I remembered that we do have at home this oil so I put one drop of the Thieves oil on his tongue, yes he jumped a little bit ... (quite strong stuff) and then he followed the steps (with the teeth and the gum...) and that's it! Now we are couple of days later and he feels fantastic, No sore throat - it's gone. And I'm just wondering if we need to continue for maintain or not. We would love to hear from you, and also we very much enjoy reading your articles, Sooooo So interesting !!! All the very best to you!